Except for those targets for resolving cases that according to law are compulsory, the remaining targets should become reference data for analyzing judicial operations. oppose the practice of avoiding accepting cases at year end with the excuse that it would bring down the court’s case resolution index. This is the result of its own fieldwork, as well as criticism from the lower courts, NPC delegates, academics, and lawyers. Chinese courts avoid accepting new cases close to year end if the case will not be resolved until the next year, because these cases will pull down a court’s performance indicators, even though the rights of litigants can be sacrificed. Chinese and foreign academics have highlighted the negative consequences of judicial performance performance targets for many years. He Fan, a Court judge on the staff of the research office, while applauding the change, pointed out in his blog that despite the change of policy by the Court, some lower court judges remain under pressure by local court leadership to work overtime to resolve cases. What indicators will replace them? The reports do not link to the underlying Court document and so it remains unclear what performance indicators will replace the ones that have been abolished, or which indicators fall into the second category. The judicial reforms anticipate having a smaller number of judges handling an increasing number of cases. If judges find the new performance evaluation system unacceptable, this may lead to an even greater outflow of judges than is already occurring. 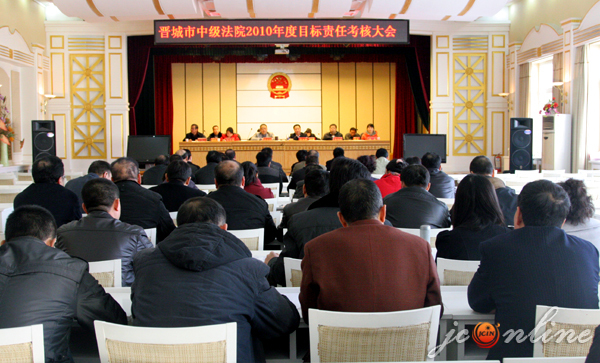 This entry was posted in Communist Party and the Courts, Court Operations, Court Reform and tagged Party Committee of the Supreme People's Court, performance evaluation, performance indicators, performance targets, Supreme People's Court.